This essay first appeared on The End Time in July 2010. It has been lightly edited. Jordan and Israel’s relationship during the Tribulation is an interesting one. In researching, I learned that Egypt and Jordan are the only two Arab nations to have normalized relations with Israel. Jordan’s peace treaty with Israel was signed in 1994 with President Bill Clinton as mediator, between Hussein I of Jordan and Yitzhak Rabin of Israel. King Hussein, of the Hashemite dynasty, died in 1999, and his designated son King Abdullah II became King. King Hussein had guided his country through the Cold War and four decades of Arab-Israeli conflict, balancing the pressures of Arab nationalism and the allure of Western-style development against the stark reality of Jordan’s geographic location. He worked throughout his life to advance the cause of peace between Jordan and Israel (which he successfully achieved in 1994). (Source Wikipedia). Above, Petra, the Rose-red city.) That peace will be broken, and soon. Between 1999 and 2019 relations between Israel and Jordan have maintained the same level of respect and courtesy. However, that has to change, because Jordan is listed among the nations that attack Israel during the Psalm 83 war. “With one mind they plot together; they form an alliance against you- the tents of Edom and the Ishmaelites, of Moab and the Hagrites, Gebal, Ammon and Amalek, Philistia, with the people of Tyre. Even Assyria has to lend strength to the descendants of Lot.” (Psalm 83:5-8). Edom, Moab and Ammon are today’s Jordan. Ammon is the capital. And…Petra in Jordan is the likeliest place the Jews flee to when the antichrist begins his persecution, and it is the likely place where they remain in safety, protected by God during the Great Tribulation and led out by Him to Jerusalem at the conclusion of the Day of the LORD. (Isaiah 63:1-6). “Then the woman fled into the wilderness where she had a place prepared by God, so that there she would be nourished for one thousand two hundred and sixty days.” (Revelation 12:6). When Jesus was speaking with the disciples in His Olivet Discourse, from that vantage point, the ‘wilderness’ was to their east and over the mountains. That is the direction of Petra, which is to the south and east of Jerusalem just below the Dea Sea. 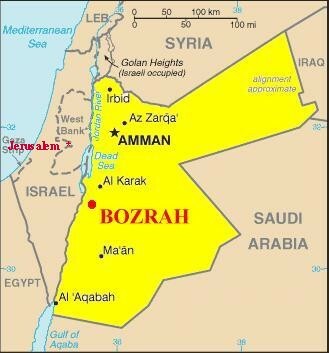 So it appears that though peace has held between Israel and Jordan for over two decades, something will change to cause Jordan to pile on in the Psalm 83 war and attack Israel in the time of the very end. However, Jordan will remain intact enough so that the antichrist will not overcome her as the verse above in Daniel 11:41 shows. Jordan’s full name is the Hashemite Kingdom of Jordan. The Hashemites trace their ancestry from Hashim ibn Abd al-Manaf (died c. 510 AD), the great-grandfather of the Islamic prophet Muhammad. The early history of the Hashemites saw them in a continuous struggle against the Umayyads for control over who would be the caliph (successor) to Muhammad. The Umayyads were of the same tribe as the Hashemites, but a different clan. This rivalry eventually would lead to the split between the Sunni and Shia. (Wikipedia). And we see the tension between the ever-widening split beteen Sunni and Shia Muslims today. It may be why the “Hashemite Kingdom of Jordan” commands so much respect in the Arab world. Today Hashemites have spread in many places where Muslims have ruled, namely Uzbekistan, India, Pakistan, Turkey, and Iran. Above, the cleft in the rock to Petra, at places only 9-12 feet wide. The second curious thing is that Petra is also known as Sela, which means rock. It is referred to in Judges 1:36; Isaiah 16:1, Is 42:11; Obad. 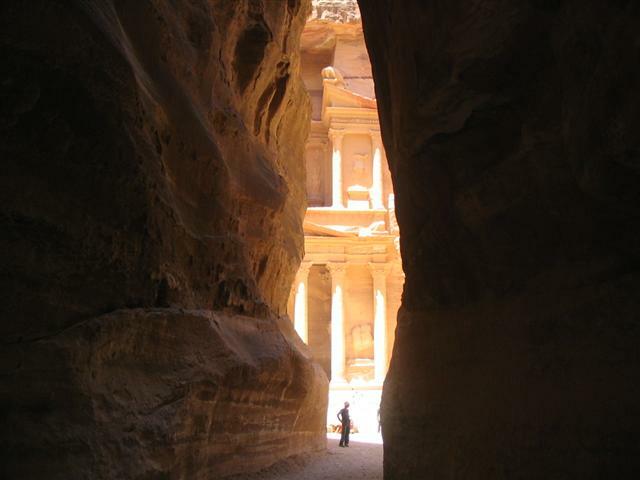 3 where Petra is known as the “cleft in the rock”. 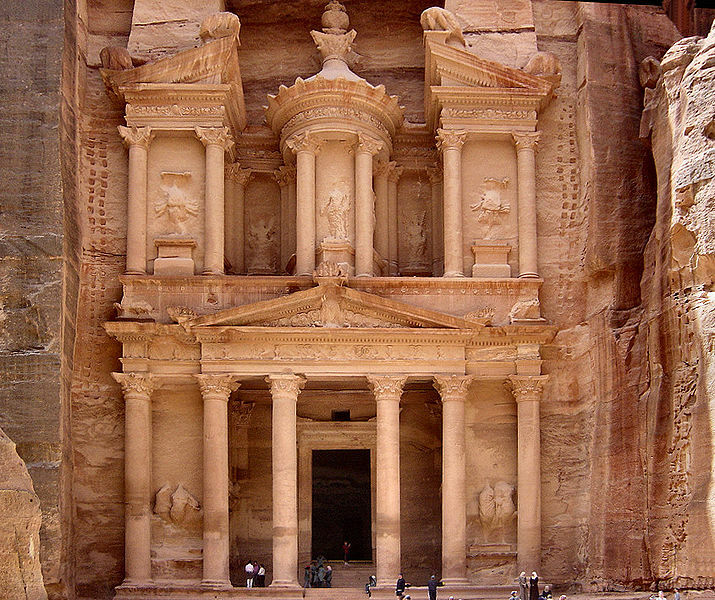 Petra is also known as Bozrah, which means sheepfold. Sheepfold or sheep pen is an enclosure designed with overhangs or other protection from the elements, and is solid enough to keep the sheep in and the wild animals out. It always has one narrow gate for entry. Bozrah is the perfect sheepfold! Our Shepherd Jesus will protect His remnant during the Great Tribulation, and mamny think that place will be at Bozrah, the sheepfold, the Cleft in the Rock. It is there He definitely returns at the Second Coming and becomes stained with blood of the armies attempting to wipe out the remnant, and leads them to victory at Mt. Olive as His feet land there. (Zechariah 14:4). This One who is majestic in His apparel, Marching in the greatness of His strength? In John 14:3 He promised His church that “And if I go and prepare a place for you, I will come back and take you to be with me that you also may be where I am“. All this time He has been preparing a place for the church believers. He also has prepared a place for His people, the Jews, to reside in during the Tribulation in protection and safety. He is a God who cares for His people. And that is a mighty thing indeed. Hallelujah to the One True and Mighty God, who prepares for His people a place!